The Prestige Group in association with the MRG Group inaugurated Phase 1 of Prestige Lakeside Habitat - Bengaluru’s first and only Disney themed premiere residential township development, overlooking the scenic Varthur Lake on Whitefield- Sarjapur road. The event was a fairy-tale experience, quite literally, given the unique theme of the property. It included an experiential walkthrough and was a memorable day especially for children with several fun activities lined up for them, apart from fairies and Disney characters roaming around the property entertaining them. 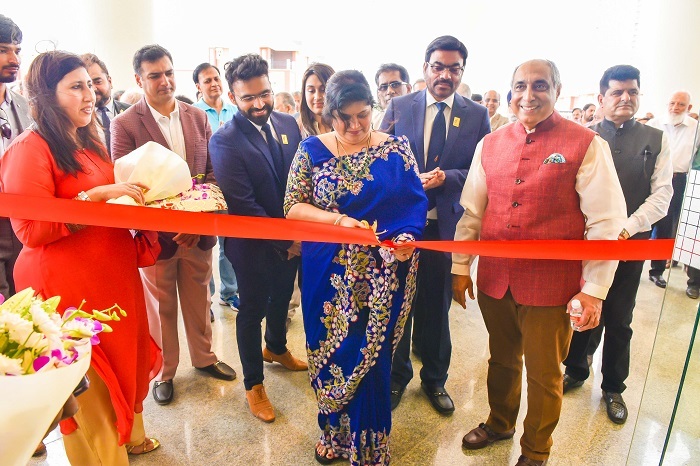 “Moreover, this property is even more special as with the inauguration of Prestige Lakeside Habitat, the Prestige Group has officially completed 100mn sft of development which is a very significant milestone for the group,” he added. The 8-million sft development is located right at the heart of the city’s biggest IT hub, overlooking Varthur Lake. The property is ideally located in close proximity to all prominent international schools, colleges and hospitals in the vicinity of Sarjapur. In keeping with Prestige’s vision of offering its patrons wide open spaces to reside in, over 80% of the total property area has been landscaped to provide a natural thriving green cover. Every home and building has been thematically named after Disney creations, adding a little bit of magic to everyday living. The developers have ensured that the Phase 1 launch comes with occupancy certification, which means homebuyers can move in the day they buy the property. Prestige Group has over 30 years of experience in real estate development, and is one of the leading real estate developers in the country with interests in Residential, Office Space, Retail and Hospitality segments with operations across South India, Pune, Goa and Ahmedabad. It has completed 212 real estate projects with development potential of over 84 mn sft. Prestige has 57 ongoing projects across segments, with total developable area of 62 mn sft. It also has 44 mn sft of upcoming projects and holds a land bank of 484 acres with potential developable area of over 47 mn sft. The company has been rated CRISIL DA1 by CRISIL and also enjoys credit rating of ICRA A+. The Prestige Group in association with the MRG Group inaugurated Phase 1 of Prestige Lakeside Habitat - Bengaluru’s first and only Disney themed premiere residential township development, overlooking the scenic Varthur Lake on Whitefield- Sarjapur road. The event was a fairy-tale experience, quite literally, given the unique theme of the property.